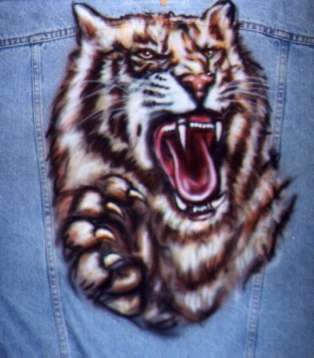 This is another example of custom airbrush art on a denim jacket. The art featured here is a $65 sample, without the jacket included. If you would like a denim jacket included, please contact us for a quote. Ready to order? Need more information? You can e-mail jd@airbrushartshop.com or call 607-843-9197.